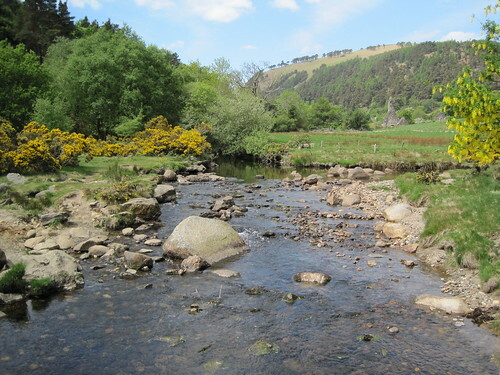 Wicklow – Have I seen this before? More often than not, when I really don’t want to do something, I end up enjoying myself anyway. Going on the Wicklow tour was an exception to this rule. I hadn’t looked into the Wicklow tour because I didn’t care to see it. I’ve seen mountains and hills in the United States; I wanted to come to Dublin to see things I can’t see at home. 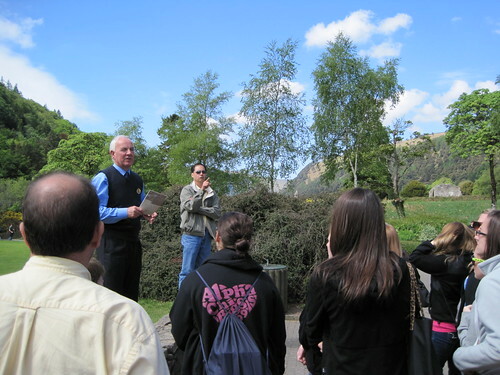 Somehow, the tour wound a required event by the entire class since all the other classes were going. Dylan asked our teacher, Dr. Moloney, if she was going. I don’t know what Dr. Moloney did to escape the Wicklow tour, but I wish I would have known and followed suit with her exit strategy. Our guide was Larry, narrating the entire trip without so much as drinking a single sip of water, from what I saw – which, for the record, was nothing, since he was out of my line of sight. I was more amazed by how much he talked and how well his voice stayed in tact. I think he mentioned he was involved with business before becoming a guide, but she really should have been a radio DJ because of his voice’s soothing nature. His voice was so soothing, in fact, it put most of us to sleep on the bus. Tony, our driver, remained quiet, navigating us through the narrow roads leading up and through the Wicklow Mountains. The Irishmen were quiet proud of them, but they don’t even hold a candle to the Smokies. Larry talked for a long time on the microphone. I can’t recall much other than something about a royal family and the World Cup since I was trying to sleep after leaving the hotel at 9. I stayed up too late last night after that ghost walk so I was looking forward to passing out on the bus. Unfortunately, I couldn’t cross the hump to get into the REM cycle. The first major stop was Glendalough, where we saw a monastic cemetery from nearly a thousand years ago. For all of these sites that I’ve come to understand are hundreds of years old, I wonder how anything modern exists in this country. After being guided through the cemetery, we were free to walk on our own to Upper Lake. Wow, a lake. It was nice to look at, and some ducks got really close to Carolyn, Dylan, Gabby and myself, but a lake is a lake. 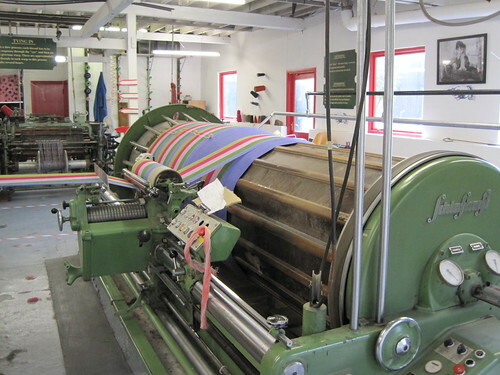 The next stop was Avoca, which proudly displayed Ireland’s 300-year-old weaving mill. The mill wasn’t much, but they sold some of the goods they make in their shop. The highlight of this little stop for me was getting sweet potato soup with some lemongrass in it, served with delicious homemade bread and jam. I had been feeling like garbage all day, so this was about all I’d eaten. All things considered, the meal was cheap at €5.50. After what felt like an eternity, we finally arrived back at the hotel around 5. I guess in the end, I’m glad I saw what I did, but I came to Dublin to see Dublin, not a bunch of hills, cows and sheep.